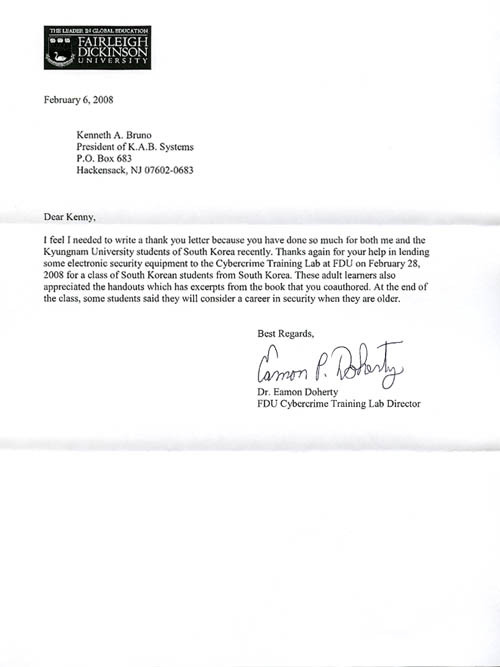 On January 28, 2008, Kenneth Bruno talked with students from Kyungnam University of South Korea, about electronic forensics at Fairleigh Dickinson University's Cyber Crime Training Lab in Hackensack, NJ. 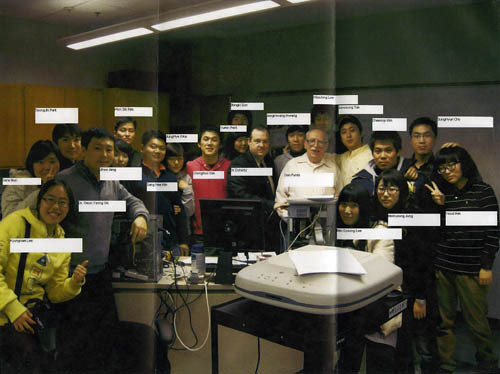 These students learned about cyber crime, and saw how actual investigations are performed. 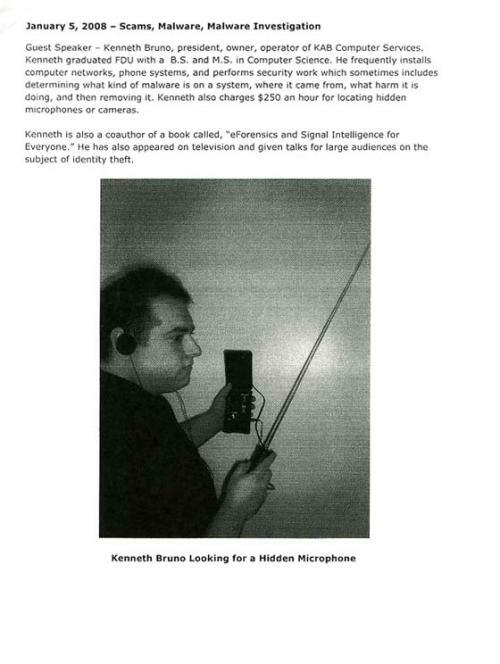 He also demonstrated the use of his electronic eavesdropping detection equipment to these students.